You can schedule an appointment for an existing patient. 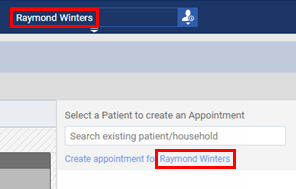 If you are currently accessing the record of the patient for whom you are scheduling the appointment (the patient's name appears in the Patient Search box), click (or tap) the Create Appointment for [patient name] link. Click (or tap) in the Search existing patient/household field. Start typing a patient's first name, last name, chart number, or phone number (at least the first four digits). Continue typing as needed to narrow the search results list. Click (or tap) a patient name. The options for the patient's appointment become available. Select the procedures that are to be performed, and set up the other options as needed. 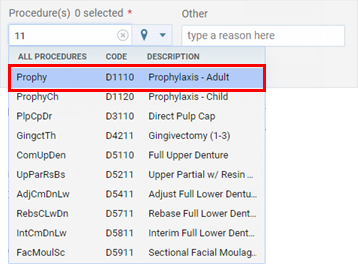 If you select a procedure that is associated with a recare type, that recare type is attached to this patient's appointment. If the same recare type is already attached to another one of this patient's appointments, and that appointment's status was not set to Complete, when you save the appointment information, a message appears and asks you to confirm that you want to remove the recare type from the other appointment and attach it to this appointment; click (or tap) Attach to this Appointment. On the Appointment Information panel, a recare procedure that is attached to an appointment has a green stripe. 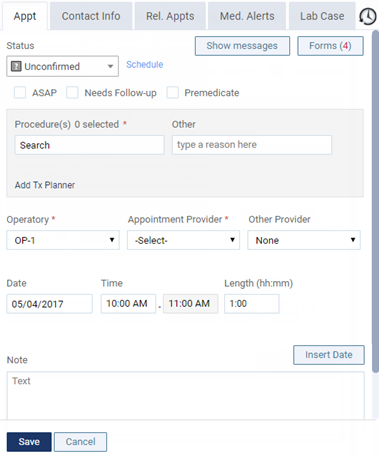 Add Tx Planner - Click (or tap) this link to select one or more visits with treatment-planned procedures that you want to attach to the appointment, and then click (or tap) Update appointment. If the same treatment plan case's visit is already attached to another one of this patient's appointments, when you save the appointment information, a message appears and asks you to confirm that you want to remove the visit from the other appointment and attach it to this appointment; click (or tap) Attach to this Appointment. On the Appointment Information panel, a treatment plan case's visit that is attached to an appointment has a red stripe. 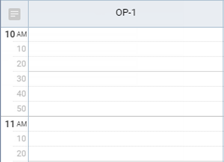 Note: When you position your mouse pointer over a treatment-planned procedure, either the details of all the procedures in the corresponding case appear (if it is assigned to a case) or the details of only this procedure appear (if it is not assigned to a case). 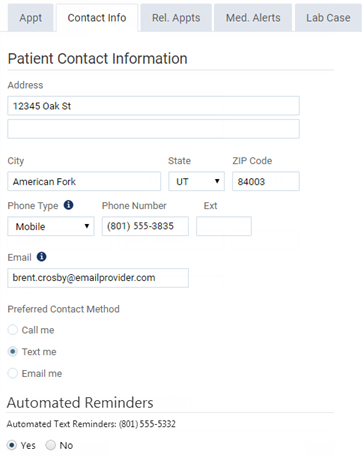 Contact Info - On the Contact Info tab, you can view or update the patient's contact information, contact preferences, and automated reminders preference (this option is available only if the patient is the primary contact for himself or herself or anyone else and has a supported mobile phone number). Any changes that you save from the appointment will be reflected in the patient's record. Medical Alerts - On the Medical Alerts tab, you can view the medical alerts that are attached to the patient's record. You can also add medical alerts to the patient's record as needed.